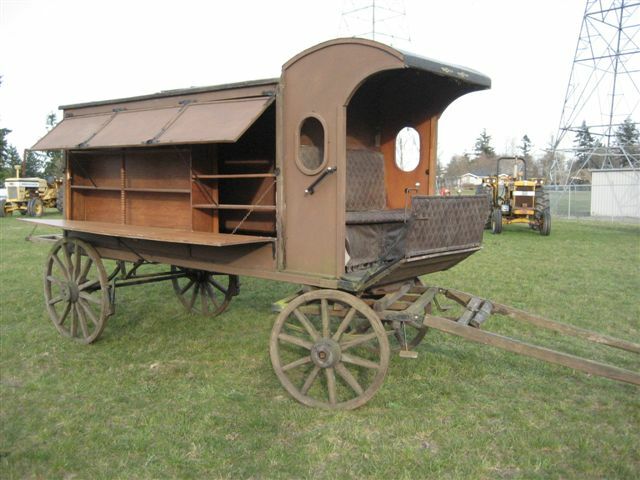 #94 – 6945 – 00052 A very unique 1920’s horse drawn library wagon. This wagon was used to travel from town to town on the prairies like the Bookmobile is used in some areas today. This particular unit was on display in Vancouver, B.C., Canadaat it’s 1986 World Expo. Very sound wheels as is the whole unit.